This story first appeared on former NRMA site Living Well Navigator on March 18, 2015. Images by Mick Ross. Picture this. You’re seated in a gorgeous art deco cinema, and suddenly below the deep crimson theatre curtain a space in the stage opens, and up rises a man dressed in a suit, playing a magnificent orchestral pipe organ. The grand sound fills the whole cinema, it’s spellbinding and if only for a fleeting moment, you are treated to an authentic cinema performance, as it was back in the ’30s and ’40s. 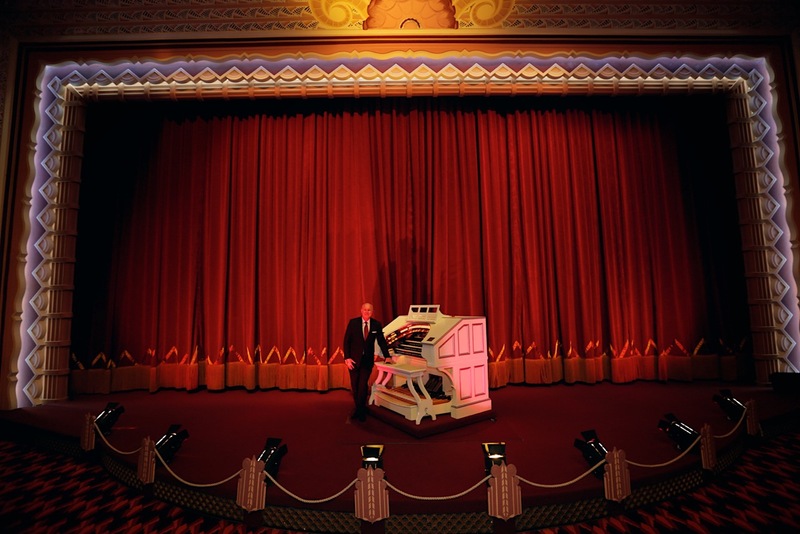 Anyone lucky enough to have seen a film at the Hayden Orpheum Picture Palace, which opens with the playing of their famous Wurlitzer organ, will be sure to recall the smiling face of Neil Jensen, the cinema’s much-loved resident organist. 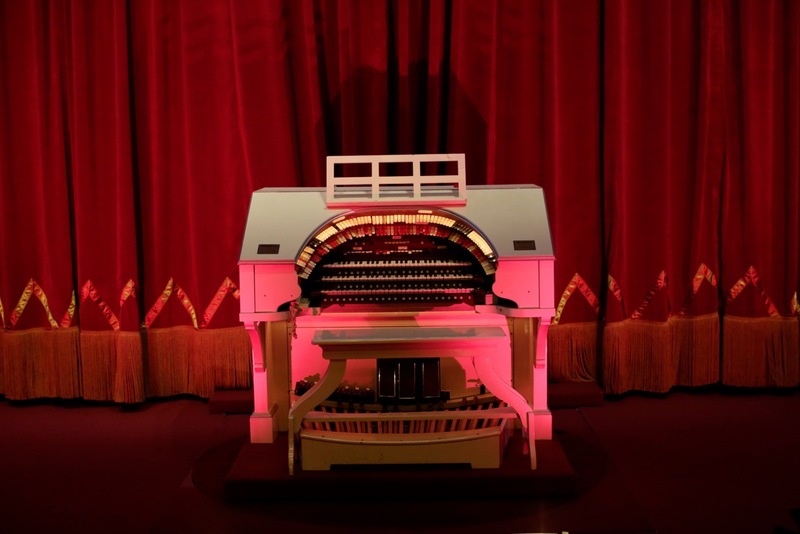 The longest-serving theatre organist in Australasian cinema theatre history, Jensen has held the role at the art deco cinema in Cremorne since it first reopened back in 1987. Jensen plays the Wurlitzer before select screenings on the weekends, at the Orpheum’s Wednesday morning movie luncheons and at special live events – such as the five annual performances the Orpheum hosts with 18-piece band The Mell-O-Tones, who specialise in authentic arrangements of music from the ’30s through to the ’50s. He notes there has only been two occasions during his 28-year tenure when the Wurlitzer shows didn’t run to schedule – once when a staff member tripped over a lead and a second time due to a heinous traffic jam. While Jensen is resident organist, he is also the caretaker of the Wurlitzer organ, overseeing its restorations over the years but also modernising elements of it, such as implementing computerised control systems. Funny and charming, Jensen is highly amiable, qualities that have seen him invited to play at organ concerts around the world. These same qualities are also sure to help clients connect with him in his other role, as a working part-owner of Sydney-based funeral business Men In Black. (Yes, that is a cheeky cinematic reference at work in the name there). “Most people slow down as they get older,” reflects Neil, smiling. “But I only seem to be getting busier.” Indeed. Posted in Arts, People and tagged Art deco cinema, Hayden Orpheum, music, Neil Jensen, Sydney, Theatre organ, Theatre organist, Wurlitzer Hope-Jones orchestral pipe organ, Wurlitzer organ. Bookmark the permalink.